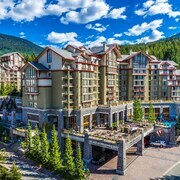 Busboom Family Trip to Whistler The hotel was beautiful we had a wonderful view of the mountains. We hated to return to the US. 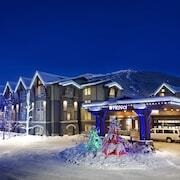 Perfect location Great location and excellent service, 2 minutes walk to lifts. Rental service in the hotel. Perfect location. 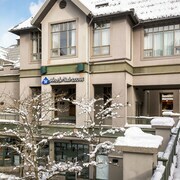 Great value This has been my go to hotel for Whistler. 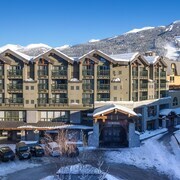 It's walking distance to the gondola and the village, has amenities like hot tub and pool, and typically is a good value. We had a beautiful room including spa like bathroom. Ate dinner at the portobello restaurant and had a fun time. 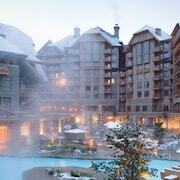 Wonderful Whistler We had a fantastic time being right in the heart of Whistler Village. 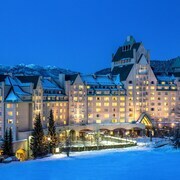 We were able to walk right off the elevator to shop, dine, and take in the surrounding mountain beauty. We will be back for sure. 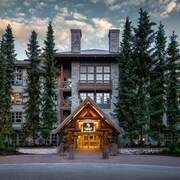 Perfect Location Beautiful location, close to Whistler Mountain, the gondola rides and the village stroll. Highly recommended.